Publication Commitee notice - please check the website. NEW IMIAS PUBLICATION ON FEAR OF FALLING BY MOHAMMAD AUAIS ET AL. NEW IMIAS PUBLICATION on RESILIENCE by Susan Phillips et al. 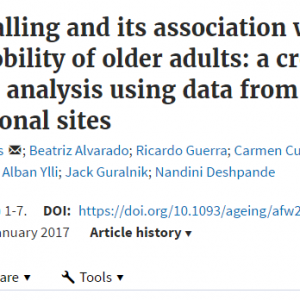 The International Mobility in Aging Study (IMIAS) is a population-based longitudinal study with expected duration of 5 years (2011-2016) and three waves, of data collection conducted in five cities Tirana (Albania), Natal (Brazil), Manizales (Colombia), Kingston (Ontario, Canada) and Saint-Hyacinthe (Quebec, Canada). 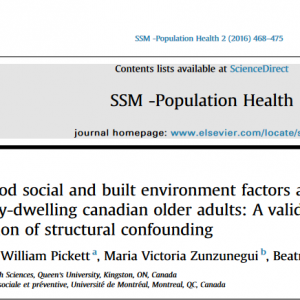 This study aims to provide a better understanding of differences in mobility decline between men and women by comparing very distinct populations in gender norms and values.